It’s tough to admit because I know on which side my bread is buttered – and dropping Islam from the 9/11 equation is like dropping my bread butter-side-down. The myth that 9/11 had something to do with Islam – has poured millions into Arabic and Islamic studies. I finished my PhD in 2005, so all I have to do is keep my eyes in my pocket and my nose to the ground, parrot the party line, and I’ll be on the fast track to tenure. The trouble is, it’s all based on a big lie. Take the recent “Bin Laden tape,” – please! That voice was no more Bin Laden than it was my late Aunt Corinne from Peoria. I recently helped translate a previously unknown Bin Laden tape, a real one from the early 90’s, back when he was still alive. I know the guy’s flowery religious rhetoric. The recent tape certainly wasn’t him. The top American Bin Laden expert agrees. Professor Bruce Lawrence, head of Duke University’s Religious Studies Department, has just finished a book of translations of Bin Laden’s speeches. He says the recent tape is a fake and that Bin Laden has been dead for years. (ABC 2004). Every Bin Laden message since then has been equally phony. They are released at moments when the Bush regime needs a boost – and the American (mainstream) media go along with the fraud. Remember the bogus Bin Laden tape that made headlines right before the 2004 elections? If you didn’t figure out that it was a CIA-produced commercial for George Bush, I have some great bridges to sell you. Walter Cronkite, bless his heart, opined that Karl Rove was behind that tape. (CNN ) But the rest of the media just kept pretending that the Emperor was clothed. As our top Bin Laden expert Professor Lawrence says, the real Bin Laden, who insisted that he had nothing to do with 9/11, has been dead since 2001. The fake messages have been fabricated by al-CIA-duh to support the Bush regime and its phony “war on terror.” It is time for Americans to rise up against the masters of synthetic terror who have been looting the US taxpayer, torching the Constitution, demolishing the economy, and threatening a nuclear Armageddon. (Guardian 04) The Making of the Terror Myth. The Guardian, Oct 10 2004. (ABC 04) A. Rupinta. Duke Professor Sceptical of Bin Laden Tape. ABC News, Jan. 19, 2006. (Wiki 2004) Responsibility for the September 11, 2001 Attacks. Wikipedia, 2004. (911Res 2005) “Fatty” bin Laden. 911 Research. 2005. (Guardian 2002) B. Whittaker. Swiss Scientists 95% Sure that Bin Laden Recording Was a Fake. The Guardian, Jan 30, 2002. (CNN 2004) Larry King Live. 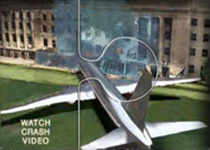 Bin Laden Releases New Videotape. CNN. Oct 24, 2004. (AC 2005) Deep Background. American Conservative. Aug. 1, 2005.